1941-1984 Big-Twin. 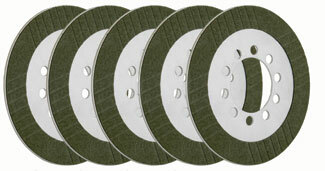 Kit Includes 5 aramid fibers friction plates with tempered steel cores. Maximum groove pattern for excellent heat dissipation & oil circulation (run wet or dry). Steel plates not included!